Bob is a cheerful man who loves to combine dancing with his Brazilian style of Capoeira, Bob often seeks to test his skills out against many fighters so that he can learn the benefits and mistakes of his battles. As a young boy who grew up in his native country of Brazil, Bob was known to always get his inspiration of fighting from his family, who were known to be well-renowned Capoeira fighters. Though the art of Capoeira is considered to be tough to those who are new to it, Bob was determined to be in the same league as his family so that he could make them proud of his rising ability. While training in the jungles one day, Bob had gotten the attention of an older man, who was travling through the same area and saw Bob's attempt at learning some Capoeira moves. The older man had revealed himself to be a local fighter named Richard Meyer and that he was real impressed by Bob's Capoeira skills and techniques. Richard was so impressed that he was willing to take Bob under his wing and help him develop his Capoeira style even more, which caused Bob to accept Richard's offer with no second thought. For the next few years, Bob had trained under Richard's watchful eye and became a strong Capoeira fighter, dominating Brazil's fighting circuit with no problem. When Richard told Bob that he was heading to a city in the United States called South Town in order to open a new restaurant called the "Pao Pao Cafe", Bob had decided to go with him in order to help him out with the development. 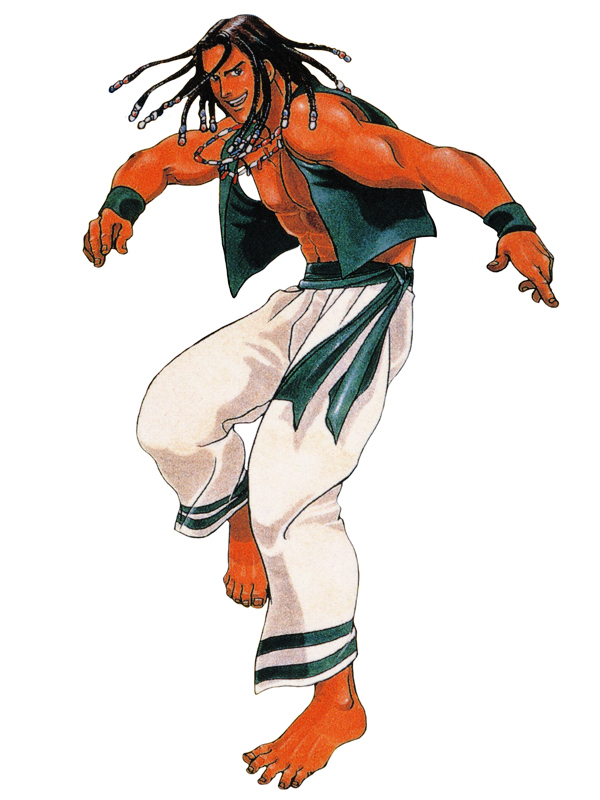 Though Bob didn't participate in the King of Fighters tournament during the events of the first Fatal Fury game, he still cheered Richard on while continuing to improve his Capoeira skills. At the start of Fatal Fury 3, Richard and Bob were at the grand opening of the "Pao Pao Cafe 2" and that everything was going well. That is until the mysterious Jin twins (Jin Chonrei and Jin Chonshu) came from out of nowhere and attacked Richard and Bob while destroying the restaurant from within the process. 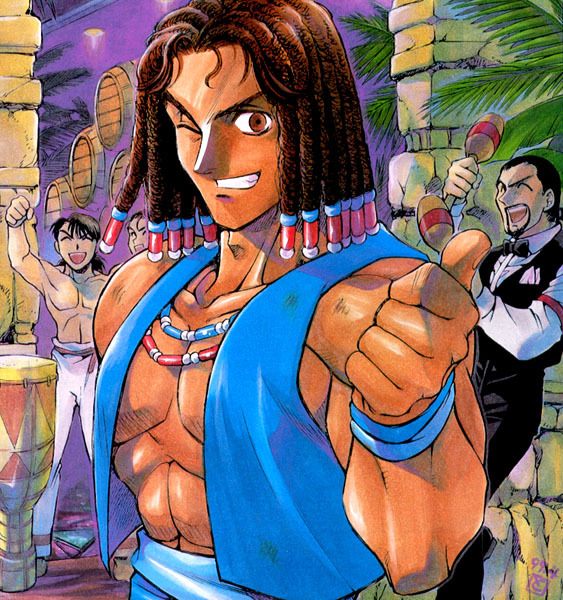 While Richard stayed behind to tend to the repairs of the restaurant, Bob had decided to join forces with Terry Bogard and many other fighters in order to stop the Jin twins and Geese Howard from gaining "The Sacred Jin Scrolls of Immortality". Upon learning of Geese's defeat and the reformation of the Jin twins, Bob was real happy to learn that everything had worked out and in the process... was shocked to learn from Richard that he was given full ownership of the "Pao Pao Cafe 2". Though he's now the owner of a popular restaurant, Bob is still a fighter at heart and will always fight when given the chance to do so. 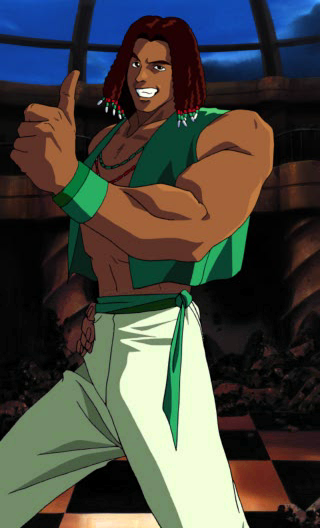 Believe it or not, Bob actually came before Eddy Gordo. 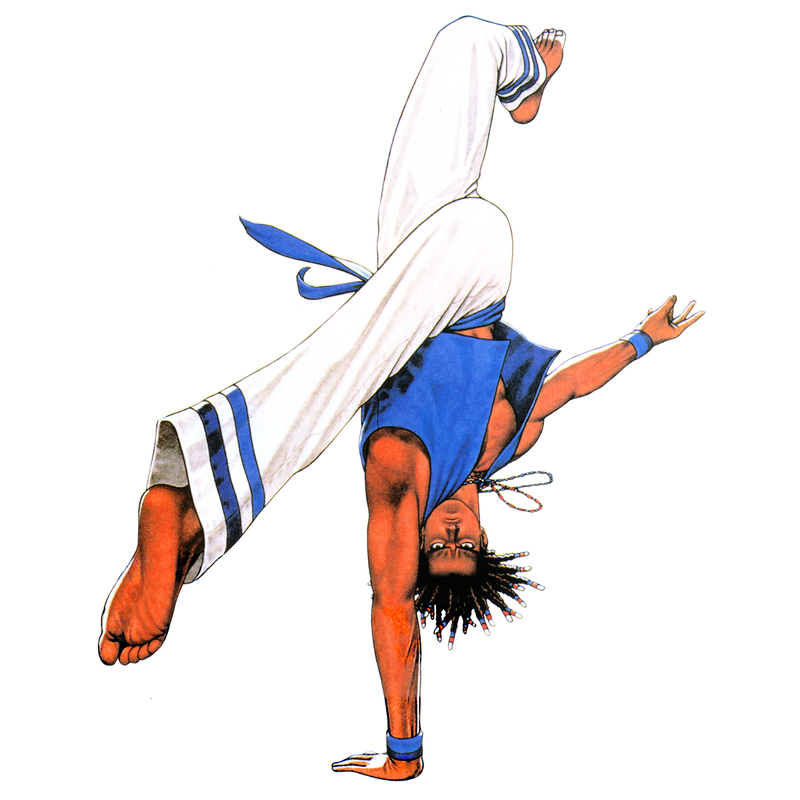 As the successor to the Fatal Fury original, Richard Meyer, Bob is a traditional Capoeira fighter. Bob's persona and fighting style were pretty cool for the time, and his animation was done really well. However, he was overshadowed by other fighting game Capoeira users that soon followed in his footsteps (like Eddy & Elena). 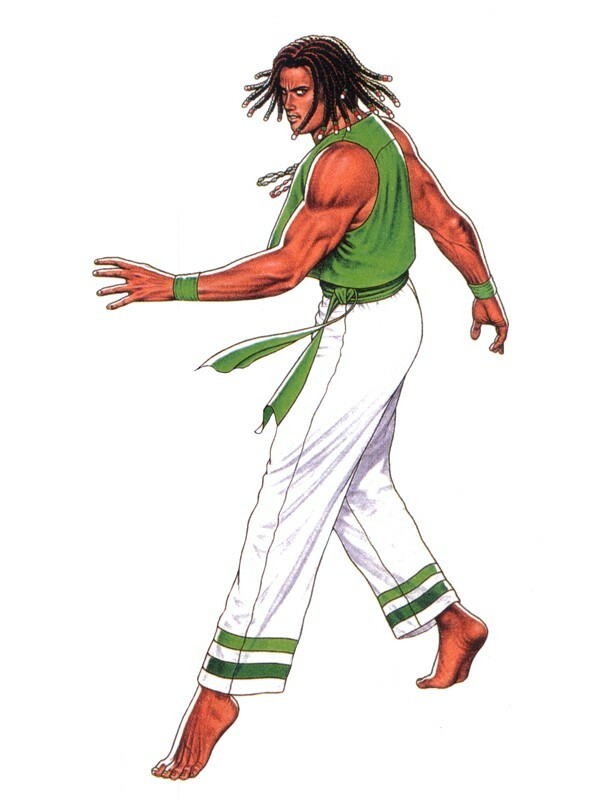 Overall, Bob is slightly generic as a design, but some would argue that's the "type" of design he's supposed to be, since he wears pretty traditional Capoeira attire.